Cindy Bonk is an American Board Certified Pedorthist with more than 20 years of experience. She graduated from the University of Wisconsin-Madison. She completed her pedorthic training at Century College in White Bear Lake, MN, and completed pediatric pedorthic training at Northwestern University in Evanston, IL. 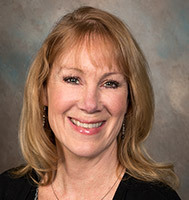 Cindy has an extensive background in diabetic foot complications, neuropathic feet and partial foot amputations. She specializes in sports injuries and pediatrics.